Meet your organization’s needs with an integrated security, management and productivity solution using our years of experience placed at your disposal. Manage new PCs and devices faster and more easily than ever - no IT expertise needed. 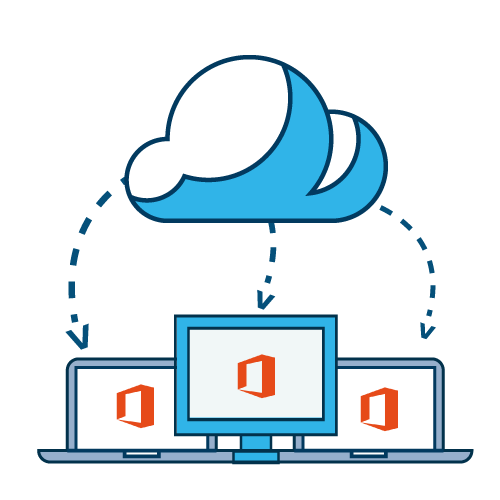 Properly planning and preparing for an Office 365 & Microsoft 365 deployment is critical to the success of the roll-out. As a Microsoft partner, we can help you benefit of our IT security and infrastructure skills and experience for a seamless migration and implementation, while you can focus on running your business. We can work with you to choose the right Office & Microsoft 365 plans that align to your business needs. Avaelgo can migrate your existing data and advise you how best to adopt and integrate Microsoft 365 into your business. Develop a roll-out plan: Ensure that you are making the most out of Office & Microsoft 365 and all the features you need to transform your business to become even more productive.